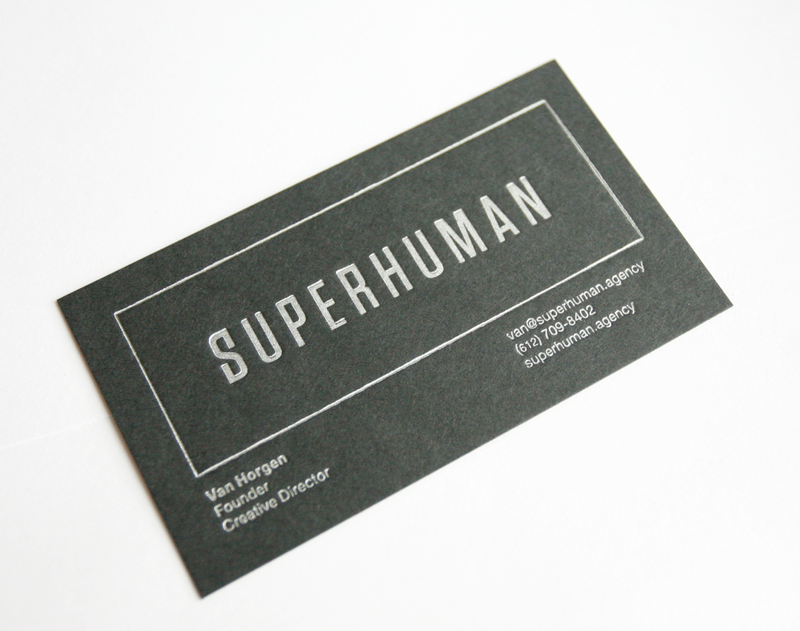 Letterpress business card for Superhuman, an ad agency in Minneapolis. This letterpress business card was a fun project. Metallic 877 ink on French Muscletone paper make for a fantastic statement of character and design. Call 952-473-1000 for your next set of business cards from Wayzata Printing.